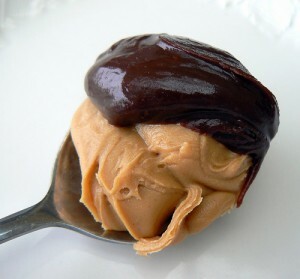 Yahoo/Tumblr: Peanut Butter & Chocolate? It had to happen. Tumblr, a next generation content site that epitomizes media creation, consumption and usage of the 21st century and of the net-native generation, has been acquired by a staid, late 20th century, Web 1.0 media brand, Yahoo (I can’t bring myself to add the exclamation point that was such a part of the brand in its heyday). Why did it have to happen? Given that Tumblr is a VC backed company, the two options for exit were IPO or acquisition. For all of its growth and engagement, Tumblr was struggling with how to monetize its property (and thus stay independent) while staying true to its culture — what created that strong growth in the first place. As the Facebook IPO has shown, this is not an easy task and few companies have made the transition. In fact, many have attributed Tumblr’s fast growth partly to Facebook’s increasingly mass appeal. Users craved a “safe” place where they could belong to several communities based on interests and Tumblr provided that. Tumblr simultaneously provided a decentralized and centralized mode of creation and consumption (and sharing, which added to its viral growth). Yahoo’s content collection method is decidedly last century – which incidentally may still appeal to a large portion of the population if curated properly – but it has developed strong advertising relationships over time. So the question remains whether a Yahoo/Tumblr combination can infuse Yahoo with 21st century mojo while providing Tumblr an advertising and personalization platform. Theoretically, this is a great combination. However, what often looks good on paper does not translate to reality (witness AOL/Time Warner or that “perfect” couple’s divorce). I’m glad Marissa Mayer is at the helm as she has shown a willingness to take bold risks, and at least her acquisition statements show an awareness of the pitfalls and challenges that lay ahead. Either way, this is a big win for NYC, which I’ve long maintained is THE most important tech hub of the future: as technology continues to move seamlessly into all aspects of our lives, there is no greater test lab for an entrepreneur than one of the most vibrant, creative, diverse cities in the world. Tumblr only brought in $13 million, in REVENUE, last year. For a site with hundreds of millions of users, which seems also to be a bit advertising or promotion shy, I’m not sure what Yahoo can do with this, other than make user generated ad content… Am I missing the boat here? Couldn’t agree more. Great article. If Tumblr has had trouble monetizing its assets, and if it’s “the inherent culture” doesn’t that suggest that Tumblr leadership will be gone as soon as the lock-up period on options/bonus expires?